Massachusetts is the third safest state in the nation. 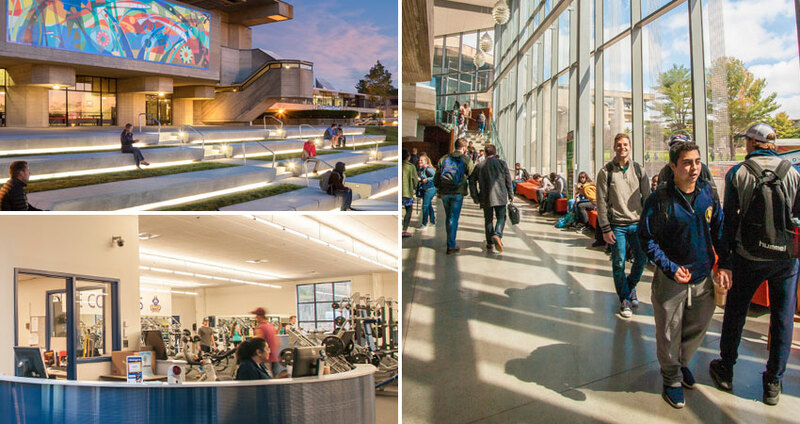 Picture yourself here at UMass Dartmouth. Plan your visit today. Top left: campus quad. Bottom left: fitness center. Right: Claire T. Carney Library. Our campus was built with space to spare. Woods, ponds, trails, up-to-date athletic facilities, and a brand new campus quad. UMass Dartmouth is just off Interstate 195, on the beautiful SouthCoast—home to quaint New England towns and thriving, opportunity-rich cities. Whether you’re into walking the beach, riding the waves, or saving the sea—we’ve got the water you want. Modernist architect Paul Rudolph was the father of our campus design, which is unapologetically bold and forward-thinking. Just like our students, then and now. On the way to Cape Cod? We invite you to visit UMassD, and learn more about the state’s leading research institution south of Boston. By bus, car, or train: it’s easy to get to Boston, the “Hub” of Massachusetts history and politics, art and culture, industry and business.